Folks–if you were at AUS’s Mardi Gras meeting at Central Market Tuesday night March 8, you all seemed to enjoy yourselves (we heard bucketfuls of positive remarks afterward). 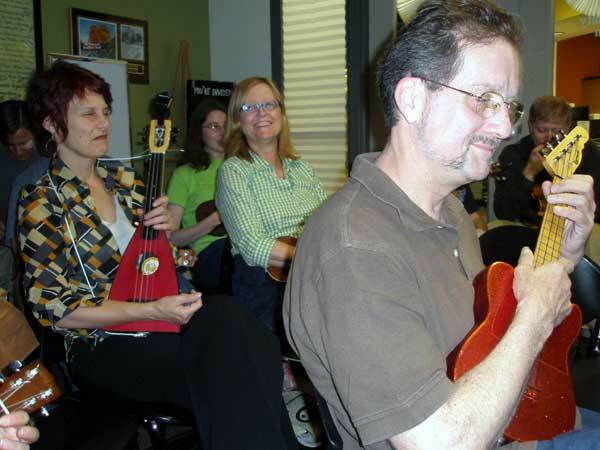 We had 25 people or thereabouts show up, so it looks as if the Austin Ukulele Society will continue strumming in the months ahead. Lots of energy in the room last night — everyone looked like they were having a really great time. 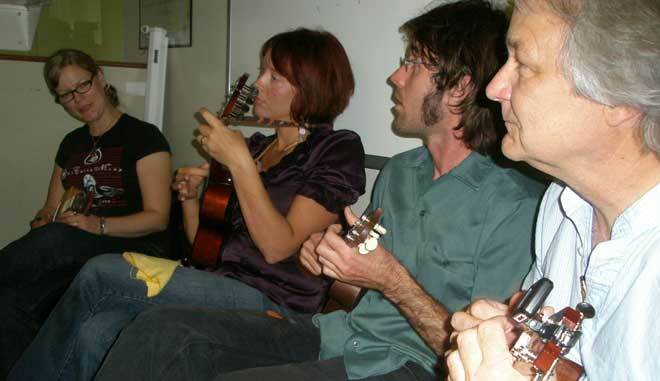 I continue to be amazed by the level of ukulele talent and enthusiasm we have right here in Austin. We had several professional musicians–or they fooled us with their skill–playing during our Open Mic at the end of the meeting, & all were delightful. We heard about the upcoming Maplewood School Fundraiser (see below), & the Lone Star Uke Fest, coming up in Dallas on April 7-9–and the Complete Beatles show coming on Wed & Thurs, March 16 & 17, at Jo’s on S Congress. Looking forward to our next meeting: Tuesday, April 12th, in Central Market’s community room, at 7:00pm. If you have song suggestions for future group play-alongs, please send them in – just reply to this message! If you can include a song sheet or a link to one, even better. We’ll be in touch! It’s a pleasure to play with you all. PS: Someone left a jacket in the meeting room Tuesday night. [Let us know] if it’s yours. Cheers! Next meeting: Tuesday, April 12th, in Central Market’s Community Room, at 7:00pm. Same time, same place as always, just a different month. See you there. 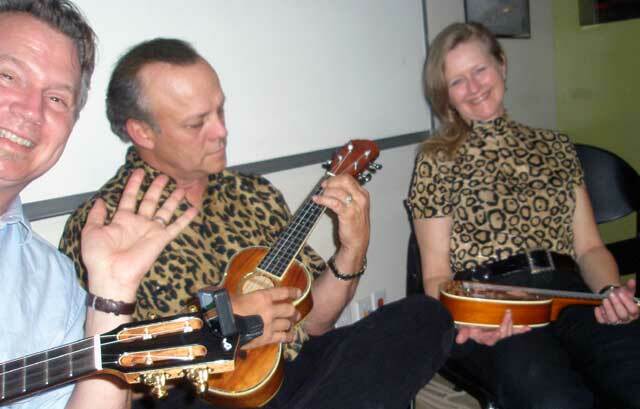 This entry was posted in AUS activities on March 11, 2011 by Austin Ukulele Society. This sounds cool, pity I’m stuck in Ireland! !